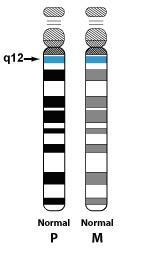 Has someone in your family been recently diagnosed with Angelman syndrome? Fill out this simple form if you would like to receive more information on AS. 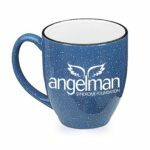 The Angelman Syndrome Foundation is the largest non-governmental funder of Angelman syndrome-specific research. It is our hope that these funded researchers, and their collaborators and peers, will bring forth new discoveries that ultimately lead to treatments and a cure. The ASF conducts biannual calls for research proposals. Submission deadlines for review occur annually on October 15 and April 15 for one- or two-year grants. Families: Find out about participating in Research Studies. From garage sales and golf outings to climbing mountains, people honor their loved ones in many ways. Create a Personal Fundraising Page that tells your story and generate donations for ASF. 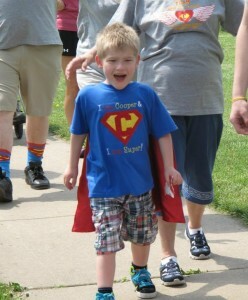 Throughout the year, the Angelman Syndrome Foundation hosts, participates and receives support from events across the country. Have an idea, or plan to host a local event in your area? Emailkmurphy@angelman.org with the details. The ASF has partnered with leading medical and research institutions, to found the Angelman Syndrome Clinics, a medical and psychosocial resource from birth through adulthood. Each clinic has its own unique capabilities that leverage the expertise and specialized care available from each partnering organization. The ASF Scientific Advisory Committee (SAC) is responsible for overseeing research grants funded by the ASF. The ASF SAC is currently comprised of 17 Angelman syndrome researchers and professionals from both academia and industry, clinicians who work with AS patients, and experts from related fields such as psychology, communication and education. SAC members donate their time and talent to review all research applications submitted to the ASF for funding, work with ASF staff to conduct an annual Scientific Symposium, and work with the ASF on research collaboration. The ASF and the ASF SAC play a strong role in networking researchers and funding research that pursues promising avenues of discovery. ASF SAC membership is evaluated and renewed on two-year terms, ensuring that a range of voices and opinions are expressed during the research funding process. Copyright © 2018 Angelman. All rights reserved.